Very awesome! Will you be in Budapest early February? Carole and Gunnar will be there working and I'm thinking about going to visit them. 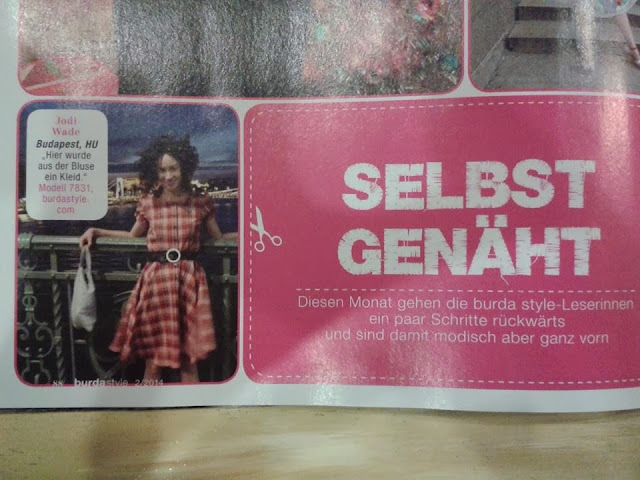 Congratulations for being featured in Burdastyle Magazine ! Thanks! I will be here until Feb 11. Come visit! I would love to meet up with you and see Carole and Gunnar again. I will know this week or next. But I would be thrilled if you took me around your favorite fabric stores.